First impressions matter. Especially on a debut album. Time and attention-strapped listeners size up an artist within a song or two, then move on or delve in further. 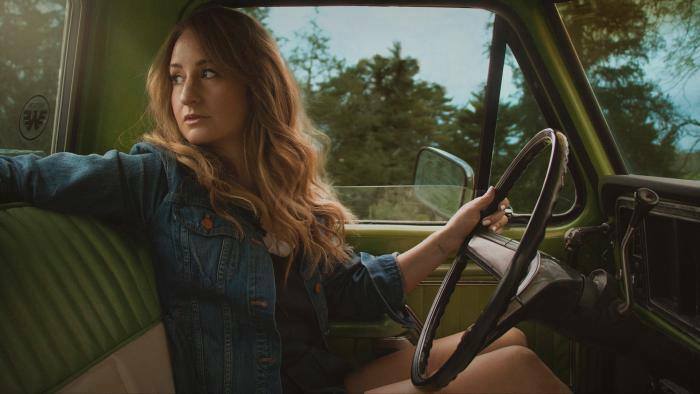 Fortunately, it only takes Margo Price about twenty-eight seconds to convince you that you’re hearing the arrival of a singular new talent. “Hands of Time,” the opener on Midwest Farmer’s Daughter (coming Spring 2016, Third Man Records), is an invitation, a mission statement and a starkly poetic summary of the 32-year old singer’s life, all in one knockout, self-penned punch. Easing in over a groove of sidestick, bass and atmospheric guitar, Price sings, “When I rolled out of town on the unpaved road, I was fifty-seven dollars from bein’ broke . . .” It has the feel of the first line of a great novel or opening scene in a classic film. There’s an expectancy, a brewing excitement. And as the song builds, strings rising around her, Price recalls hardships and heartaches – the loss of her family’s farm, the death of her child, problems with men and the bottle. There is no self-pity or over-emoting. Her voice has that alluring mix of vulnerability and resilience that was once the province of Loretta and Dolly. It is a tour-de-force performance that is vivid, deeply moving and all true.